Home Unlabelled ATR-72 plane lands with one nose wheel missing. ATR-72 plane lands with one nose wheel missing. A Vietnam Airlines plane landed with a wheel missing in the popular tourist city of Danang, but nobody on board noticed, state media said Tuesday. The incident on Monday involved an ATR-72 turboprop - the same model as a Lao Airlines plane that crashed last week. "When the aircraft was already in the parking lot, technicians found a broken front axle and one missing wheel," the airline said in a statement. The affected plane is now being investigated by the French-Italian manufacturer, it said. The incident was "rare" for its 14-strong fleet of ATR-72 planes, it said. All of the rest of the fleet had been inspected and were found to be flight-worthy, it added. The plane was flying from the northern port city of Hai Phong, the gateway to the World Heritage Site of Halong Bay. It was carrying 41 passengers and crew, state media said. No one on board realised there was any problem with the plane on landing, according to the Tien Phong newspaper. "Later, when I asked the technical assistant in the cockpit if he'd noticed any difference, he said no," chief pilot Vu Tien Khanh was quoted as saying. "What worried me most was whether the wheel had fallen onto anyone below," the 34-year-old pilot, who has six years of experience with ATR-72 aircraft, told the paper. Last week, a Lao Airlines ATR-72 plane plunged into the Mekong River in stormy weather, killing all 49 people on board near Pakse airport in southern Laos. More than half of the passengers and crew were foreigners from some 10 countries. 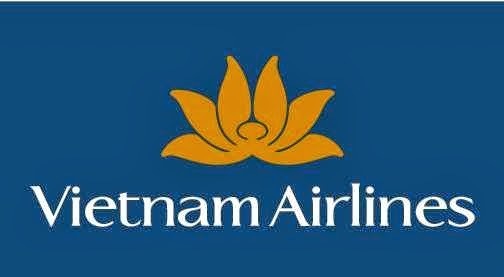 Vietnam Airlines, the national flag carrier, was established in 1989 as a fully state-owned company. Its last fatal accident was in 1997 when a Russian-made Tupolev plane crashed in Phnom Penh killing 65 people, according to the Aviation Safety Network. Laos observed a nationwide minute's silence on Monday afternoon to remember the victims of the crash, which is the nation's worst known air disaster.